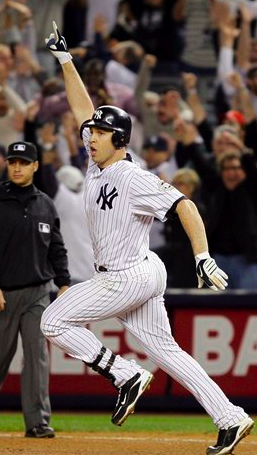 We are now just one day away from the ALCS opening game between the Yankees and the Angels. The game will take place in Yankee Stadium and will likely be Sabathia for the Yankees and Lacky for the Angels. It could be held up by rain, but lets hope it won’t be. Here are the top 5 questions I am looking foward to to learning the answers to as the series progresses. 1. 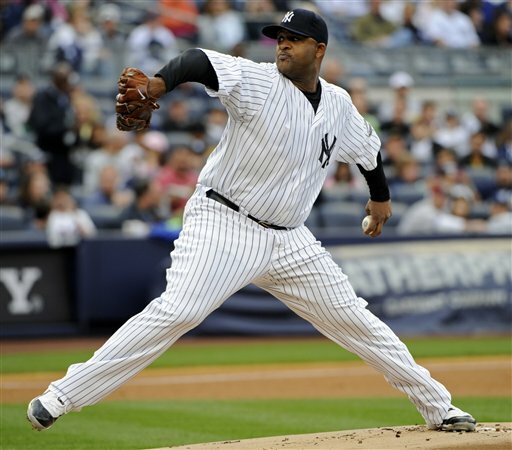 If necessary, will Sabathia be able to pitch effectively on 3 days rest? Girardi’s plan is simple; stupid, but simple. He will go with a 3-man rotation that looks like this: Sabathia, Burnett, Pettitte^, Sabathia^, Burnett^*, Pettitte*, Sabathia* (^=away, *=if necessary). As we know, Giardi is not a fan of pushing his starters. So, his brilliant plan to protect C.C., is to hope that one of the games gets rained out. Good job Giardi. Assuming that he will, in fact, need to start on 3 games rest, it will be interesting to see if he can come through. As you remember last year, C.C. went consistently on 3 games rest and carried the Brewers on his back into the playoffs. Sabathia has pitched four games on 3 games rest and has a 1.01 ERA in those starts. But, in 2 starts in the ALCS, he has a 10.45 ERA in 10.1 innings. 2. 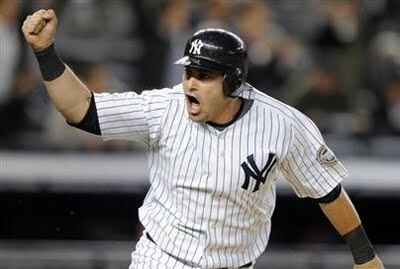 Which first baseman will perform better: Teixeira or Morales? If you saw my entry yesterday, you saw that these two players have very, very similar numbers. In the regular season they had almost an identical BA, OBP, SLG, HR and RBI. They both hit better against righties and have similar numbers against lefties and will both face 2 righties and 2 lefties (assuming a 4 man rotation.) 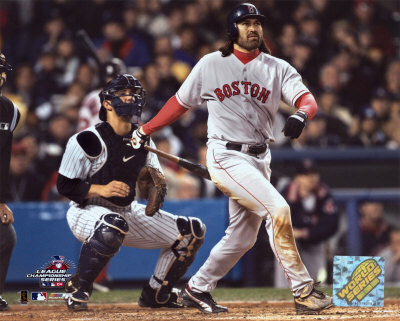 For both of them as well, this is their first appearance in the ALCS. 3. Will A-Rod continue his “clutchness”? In the ALDS against the Twins, A-Rod hit .455 with 2 HR and 6 RBI, which are all career bests for him in any postseason series. 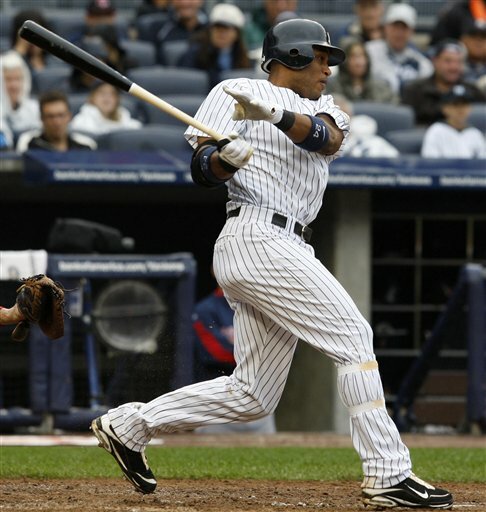 I think its fair to say that without A-Rod, the Yankees might not have won that series. If he continues to play like this, this series will be A LOT easier. 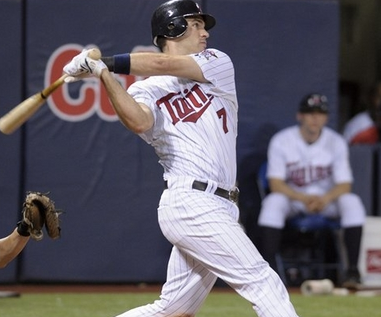 He has 67 home runs against LA, his best against any team, so that may help. 4. 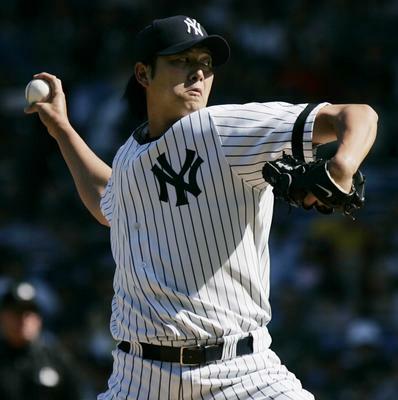 Can the Yankees overcome their Anaheim Hex? Although the season series was even at 5 this year for these teams, there is no doubt that the Yankees have had some struggles against this team, especially on Anaheim’s turf. They had 2 series in LA this year. They got swept in one and won their first series since May of 2004 in the other. If the Yankees are going to win this series, they will need to end the hex. 5. Will Hughes pitch well? 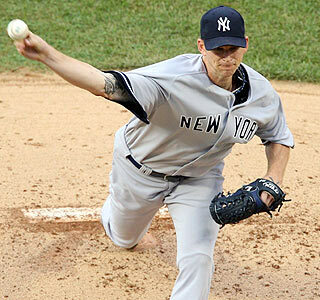 Hughes was one of the most dominant relievers in baseball this year, with a 1.40 ERA and 65 SO in 51.1 innings. In his second postseason series in his career, it was a different story. He pitched 2 innings and gave up 2 runs and 5 hits. 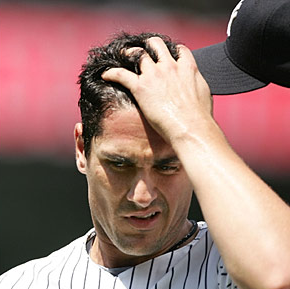 Although the Yankees swept, it would have been a lot easier if Hughes had pitched like he did during the regular season. I think its fair to say that this series could very well come down to how well Hughes pitches. As the Yankees get set to face off with the Angels in the ALCS friday night, some interesting questions come up. There was an article on MLB.com comparing the players at each postion. 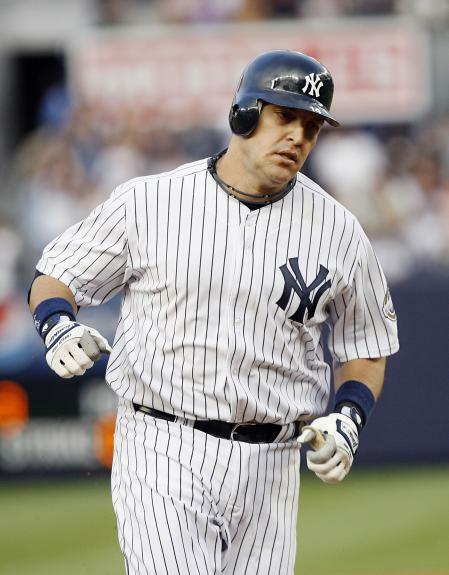 To me, the most interesting argument was the comparison of the two first baseman, Kendry Morales for the Angels and Mark Teixeira for the Yankees. Here are their 2009 regular season numbers. As you can see, Morales has a slight edge in both batting average and slugging percentage while Teixeira has an overwhelming edge in home runs, runs batted in and on base percentage. Not to mention he led the entire American League in home runs and runs batted in. But, quite obviously, the postseason is not the regular season. Mentally, it’s a completely different ball game. Some perform better, some perform worse. In this case, both have performed poorly. Morales was 2 for 10 in the ALDS this year and is a career .217 hitter in the postseason without a home run in 10 games. Teixeira, although he went just 2 for 12 in the ALDS this year, he is a career .333 hitter in the playoffs. 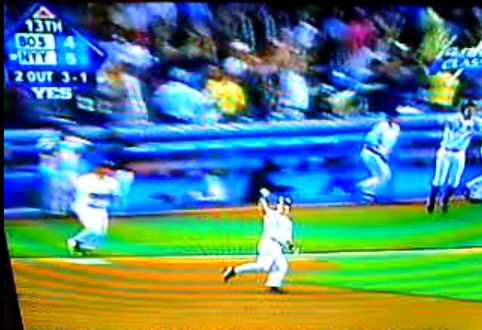 He also hit that dramatic walk-off home run in game 2, which is his only career postseason home run. When you look at who they will be matching up against, again, it’s very similar. Of the four starters for both teams (assuming the Yankees go with either Gaudin or Joba as a fourth starter) each team has 2 RHP and 2 LHP. Both of these hitters are switch hitters. Morales hits .296 against lefties and .309 against righties. Teixeira hits .282 against lefties and .305 against righties. Very, very similar. The only difference is that the lefties they will be facing are very different. Teixeira will be facing Kazmir and Saunders who has struggled this year, while Morales will be facing the Yankees two best starters C.C. Sabathia and Andy Pettitte. 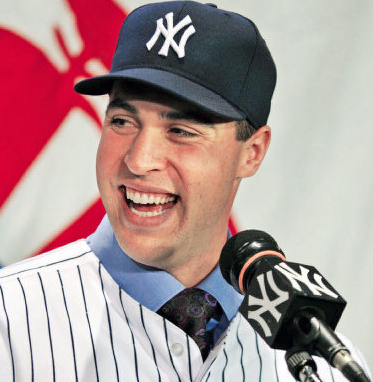 Most likely, it will be easier for Teixeira to succeed. Looking at these stats, they are very, very similar. To me, I think Teixeira has a bit of an edge. He leads by a little in all of the categories we have looked at. It will be interesting to see if Teixeira can prove that in front of his former team. Keep your eyes on these two, it should be very interesting.